A call to "Ukrainian students, Ukraine and the World"
From the moment the current government shamefully halted the development of our country’s European course, Ukrainian students and youth – a great new generation – have become awakeners of the spirit of freedom and formed the basis of a nationwide protest. As in the most important periods of Ukraine’s existence, students with youthful sincerity, deep feelings of civic duty and patriotism, have come forth in peaceful protest to defend the public’s true interests—and of their own free will, with no financial backing, and uncompromisingly. However, on the morning of November 30th the government deviously and cynically used brute force to trample on the constitutional rights of the demonstrators, humiliating the dignity and freedom of the people by resorting to hideous carnage. After the bloodshed of innocent people, it seemed that the government would come to its senses, that those guilty of beating civilians would be brought to justice for causing bodily harm, abusing their power, and using excessive force. But this did not happen! - the shameful massacre of peaceful demonstrators at the Presidential Administration, or Bankova, has shown the world that the guarantor of the Constitution, Viktor Yanukovych, hopes to solve everything by force, to turn Ukraine into a police state, a state governed not by rule of law, but by brute force, where any kind of opposition, even intellectual, is silenced with violence. Moreover, today, the regime has actively launched mechanisms of repression and harassment of the peaceful demonstrators. The Prosecutor General has demanded from universities full personal data of students and lists of teachers, who, without reasonable excuse, have been absent from their campuses since November 29, and the names of activists who urged students to go to the Maidan (Independence Square). Furthermore, the police have opened criminal proceedings against activists of the EuroMaidan and "Road Control," who helped block administrative buildings, while the courts under the cover of darkness rubber stamp judgments against victims of police violence and our new generation of political prisoners. A regime that ignores its national interests and the will of its own people, one that resorts to brutal force as the ultimate argument against its citizens and tries to fight its youth, is naturally doomed to inglorious death. The only thing that can save it is a lack of public solidarity, civic indifference, and the absence of unity within our ranks. - We strongly condemn any attempts to use repression against the protesters. 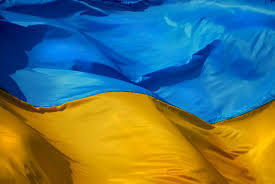 We ask Ukrainian society, the academic community, and every conscious Ukrainian to provide support to those involved in the protests on the EuroMaidan; to refrain from carrying out any demands by authorities aimed at blocking the peaceful protests or the punishing of activists involved in the strike; and to inform the public and the international community of any attempt at reprisals against the protesters. We call on the international community, and international academic and student organizations, to support the EuroMaidan and the Ukrainian student protests; to apply diplomatic pressure and civil efforts to end the violence and repression of the Yanukovych regime against the protesters; to help maximize the presence of foreign observers and journalists during mass actions and legal proceedings against the participants; to join as independent experts in the assessment of politically biased judgments and the investigation of police behavior on the EuroMaidan. Together for your and our freedom, for that of our and your children! We will win!